The Philly MQG will be having a meeting on July 17, 2012 (Tuesday) at 7:00 PM. We will be meeting at our usual venue in Huntingdon Valley. 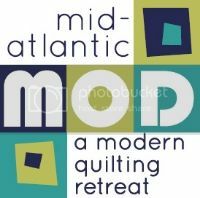 If you need the address, please send an email to phillymodernquiltguild@gmail.com. For all guild members participating in the challenge, if you would like to ship your block with everyone else's, please complete the Block Challenge Entry form on the site above and bring it clipped to your block.